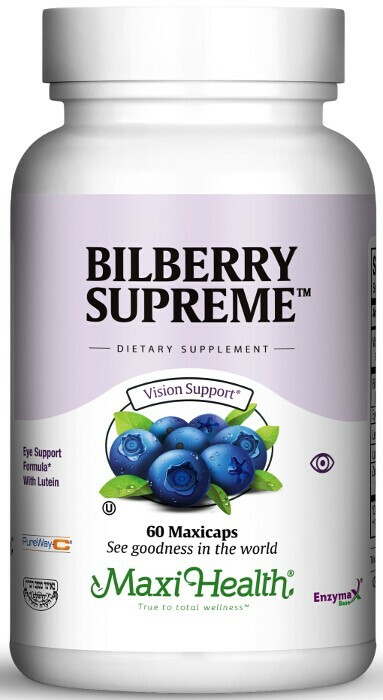 Bilberry Supreme™ gives you the health benefits of bilberry, eyebright, and lutein combined. Bilberry is an often-overlooked herb that possesses wonderful properties. It contains tannins, anthocyanins, and flavonoids. It has potent antioxidant compounds. Eyebright contains iridoid glycosides, flavanoids and tannins as well. We added lutein and zeaxanthin, vitamin C and bioflavanoids, which are potent antioxidant too. Open your eyes to the possibilities! Try Bilberry Supreme™ today.